Preparing spatial arrangement of plant room equipment, connections and arrangement. Develop GA drawings of all the equipment which are interconnected with each other. 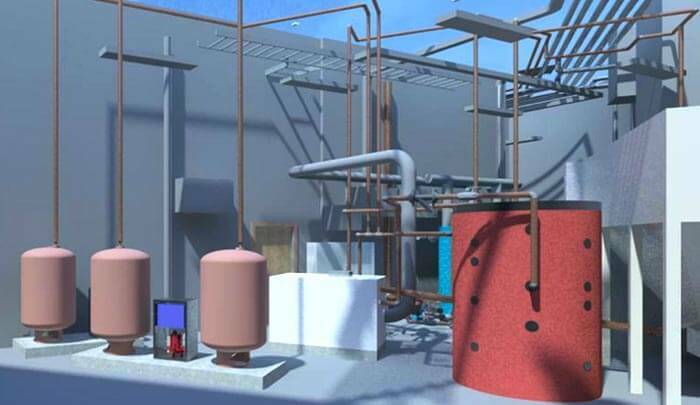 Generate coordinated MEP model with clash free plant room layout. European BIM consultants working on plant room equipment coordination approached Hi-Tech to develop BIM 3D model of the arrangement to gain insights on the spatial coordination alternatives. Our MEP engineering teams partnered with the MEP design engineers at the client’s end for clash free 3D model in Revit. Our engineers studied the original MEP drawings and arrangement drawings shared by the client. Basic structural and architectural layout was created in Revit and MEP layout was arranged. Based on the input layout, a detailed and immaculate layout of plant room including boilers, compressors, pump, etc. were modeled. Alongside, MEP shop drawings, GA drawings, sheet setup and a final 3D rendered model of MEP layout was created in a span of 3 months. 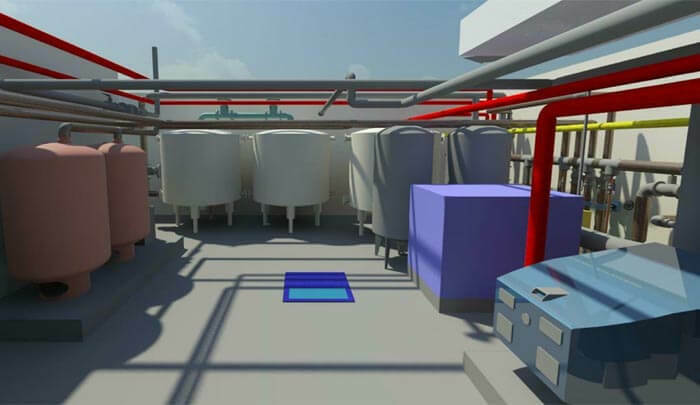 With an efficiently designed 3D model, the client could easily detect the clashes and resolve it with informed decision making as well as cost saving. Multiple quality checks at our end resulted in error free 3D modeling and first time right deliverables.